Maid SailorsBlogGeneral InformationHow Much Office Space Do You Need? When you’re launching a business of your own, there’s a good chance you’ll need some dedicated office space for you and your employees. One of the biggest challenges, however, can be determining exactly how much office space your company needs. On the one hand, office space can be costly—so you don’t want to pay for more than you realistically need. On the other hand, you don’t want your employees working in tight quarters and you need some room for your business to grow. Not sure where to begin when it comes to calculating your office space needs? There are a few factors worth taking into consideration. When calculating a rough estimate of how much office space your business will need, it’s important to consider the number of employees, their individual workspace needs, and your company’s plans for future growth. Start by tallying up your current number of employees. If your business is yet-to-launch and you haven’t hired your entire team yet, estimate the total number of employees that you will hire to be working in your office. From there, you can come up with a general estimate of space needed based on average square-footage needs per employee. For a high-density office, for example, you’ll generally need between 80 and 150 square feet per employee. This is about what you’d see in a space such as a call center. A more average per-employee square footage amount would be closer to 150-250 square feet per employee. This would accommodate a more “traditional” office layout. With this number in mind, you’d need about 10,000 square feet of office space per 50 employees. Speaking of office layouts, you’ll want to consider your employees’ unique workspace needs as well. Depending on the type of business you’re running, it may make sense to have most of your employees working in cubicle spaces with a few dedicated offices here and there. In other cases, may want to opt for a more open and shared workspace. Will any of your employees be able to work from home? Remote workers can be a great addition to your business because they don’t have the same physical space needs, which can save you money and resources when it comes to your search for office space. Of course, if you have an employee who will only be working from home part of the time, you’ll still need to take him or her into consideration when calculating square footage needs. While it certainly makes sense to shop for office space based on your company’s current needs, it’s also a good idea to take anticipated future growth into consideration. Of course, you don’t have a crystal ball, so it can be difficult to know exactly how your business will scale. Hopefully, though, you took the time to write a detailed business plan that should give you a general idea of where your business will be in one year, three years, or even five years down the road. If you’re seeking a short-term office lease, you don’t need to worry as much about accommodating for future growth. 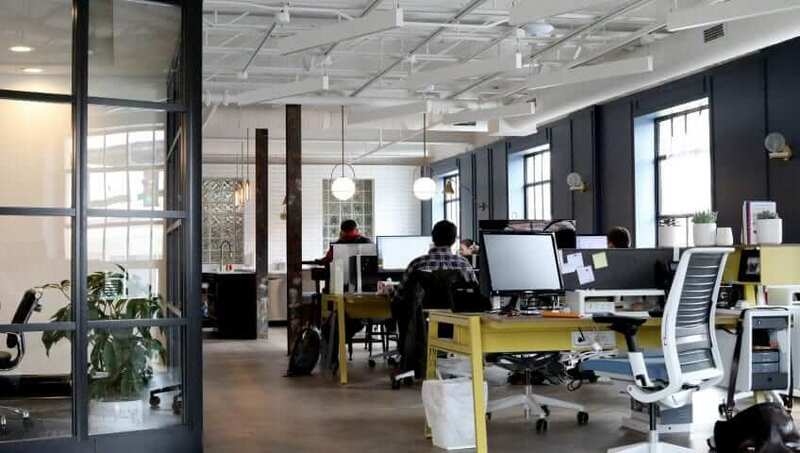 However, it’s generally best to choose an office space that will offer at least a little room to grow, since relocating your company can be costly, time-consuming, and can even interrupt your day-to-day operations. Ideally, you may want to consider leasing office space within a building where additional space will be available as you need it. This way, you can have the option to expand as your company grows without necessarily having to relocate. When seeking out office space for your business, it’s important to look beyond your individual employee’s workspace needs. Yes, all of your workers will need at least a small amount of space to call their own. But what about other spaces, such as conference rooms, break rooms, and storage spaces? You’ll want to take these into consideration as well. And of course, the more employees you have, the larger these spaces will need to be in order to accommodate them. A break room, for example, will require at least 25 square feet per employee while occupied. And while it is unlikely that all your employees will congregate in the break room at the same time, it’s a good idea to make sure the space can accommodate the majority of them at once. Now that you have a better idea how to determine the right square footage for your company’s needs, there are a few questions work asking as you begin touring office spaces for lease. Do You Offer Any Special Amenities? Some office spaces may come with amenities to make your life (and your employees’ lives) a little easier. For example, you might find that one office space offers an on-site fitness center, whereas others may have a cafeteria where your employees can grab a quick and nutritious lunch. Other office landlords may even offer dry cleaning or laundry services. Before you begin touring properties, take some time to consider the types of amenities (if any) that would be most convenient for you and your workers. On the other hand, if a “bare bones” office space is more along the lines of what you’re looking for, you may actually want to avoid office listings that mention long lists of amenities—as you’ll likely end up paying a premium for them. If the majority of your employees will be driving personal vehicles to work, make sure they’ll have access to convenient and ample parking. You don’t want your workers having to park a substantial distance from the office and walking the rest of the way, as this could not only lead to poor morale but late arrivals as well. Depending on the location of your office, you may also want to look for proximity to public transportation and/or access to bike racks. This is especially true if your office will be located in a busy downtown location where it is likely that fewer workers will be driving their own vehicles to work. How Long Ts The Lease Term? When your business is first starting out, you generally don’t want to be locked into a long lease term because your needs will change and evolve. You may find yourself needing to expand or even cut back substantially. With this in mind, you’ll want to find an office space with a lease term that will suit your needs. A “standard” office space lease is generally anywhere from five to 10 years, but shorter terms are available. Just keep in mind that a shorter lease term will likely also mean higher rent, as you will pay a premium for a shorter lease. In addition to your monthly cost of leasing office space, there are some other services you may want to budget for as well. Hiring a professional office cleaning service to come in and clean your office space on a regular basis is a great idea. Not only does it save you from the time and hassle of cleaning the space yourself, but it can help boost worker morale and productivity. When your workers come into a clean and organized space, they’re more likely to feel valued and appreciated, which can improve outlook and job performance. Furthermore, with a cleaner office, you can cut down on the risk of employees spreading sickness. And when employees take fewer sick days, everybody wins. Keeping your employees well hydrated will also work to your advantage, so you may want to consider using a scheduled water/beverage delivery service for your office—especially if there is no on-site cafeteria or beverage machines in the break room. A water delivery service can be a great way to keep your workers refreshed while they work, and you can even consider having additional beverages (such as coffee and tea) delivered to improve productivity. Your business will need reliable phone, Internet, and other IT services to provide your clients with the best experience, so make sure to shop around and find the best local provider. Keep in mind that some office spaces will include business Internet, phone, and even cable with your monthly rent—but this is not always the case. Ideally, you’ll want to be able to bring in a provider of your choosing. Deciding on how much office space your business needs can be a challenge, especially if you’re getting ready to launch a brand-new company. 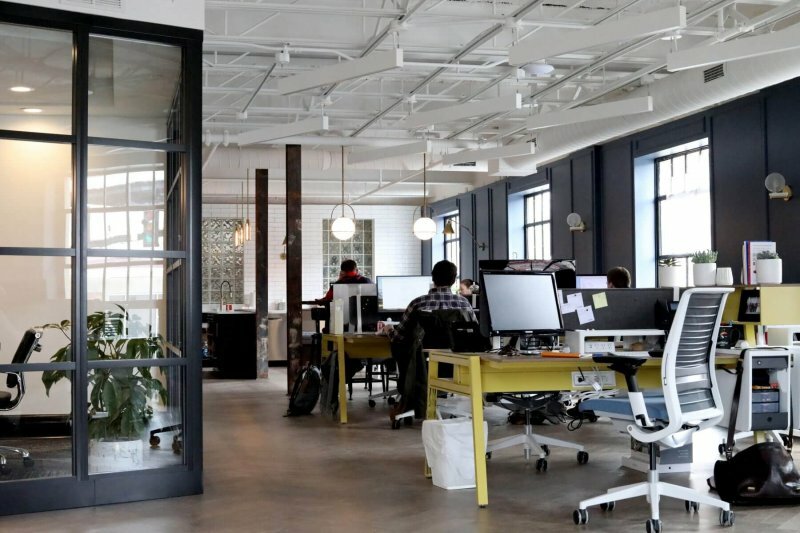 As a general rule, you can expect to need about 200 square feet of office space per employee—but again, this can vary greatly depending on your office layout/configuration, employee workspaces, and the need for additional rooms or common areas. Now that you have a better idea of where to begin when looking for your next office space, you can begin the process of touring available office space near you. With a little time and diligence, you’ll find the ideal space for your growing business!